*Here are some reflections from a previous trip, but I will be heading to Vietnam and Cambodia this Tuesday and will be traveling all throughout the country. You can sign-up for this blog and Veteran Outreach Blog to follow me on this year’s trip. Dalat- I didn’t spend too much time there, but this is what little I can tell you for now. It’s a mountainous area and what most people would say is cold. I actually had to put on socks. Of course I just laugh to myself because they don’t know cold unless they were to go to the U.S. where I’m from. It was perfect weather to me and gave some relief from the heat of Ho Chi Minh City. People are friendly and helpful like I’ve found everywhere in Vietnam. Many people including the Vietnamese take a mini-retreat here to cool down. One thing Dalat is known for is all its flowers they grow. I met a Russian man doing research in Nha Trang and he says Dalat is his favorite place in Vietnam and called it the heart of Vietnam. 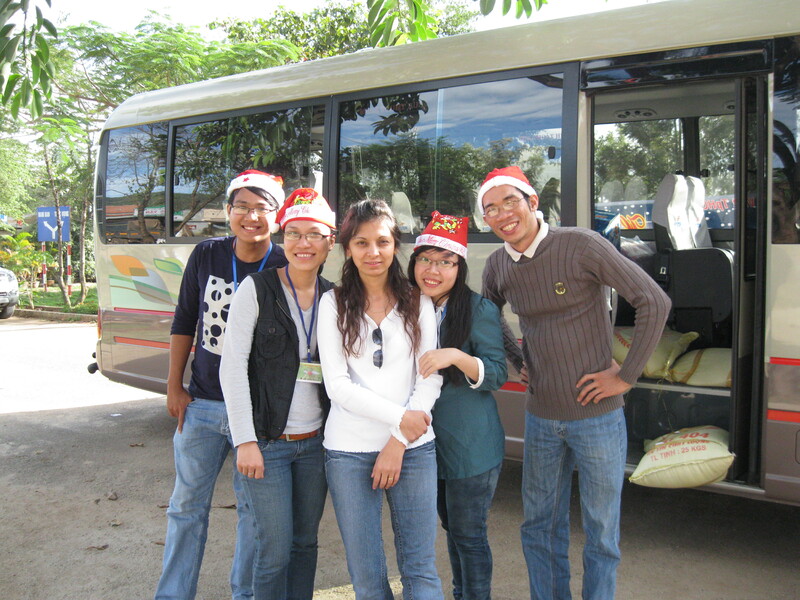 While I was in Dalat I went with some University students who visited an orphanage they were putting on a Christmas party for. The young people I have to say they did a very good job. One woman, a little bit older in the bunch, was quite funny utilizing many opportunities to make us all laugh. The kids at the center were a minority group in this area. There was one girl in particular that stood out to me. She was about 16 or 17, but could pass for a little younger (look wise). She was like the little mother or big sister to all the other kids. She was quite mature yet was able to maintain a youthfulness about her. I watched her quite often and I could see she was truly a strength to the workers there. She reminded me of me. She could be loving and sentimental, but she was also quite spunky and could hold her own-lol! Perfect combination! If I could, I would have taken her back to the U.S. with me. At the same time, I wondered if the other kids would be lost without her presence. 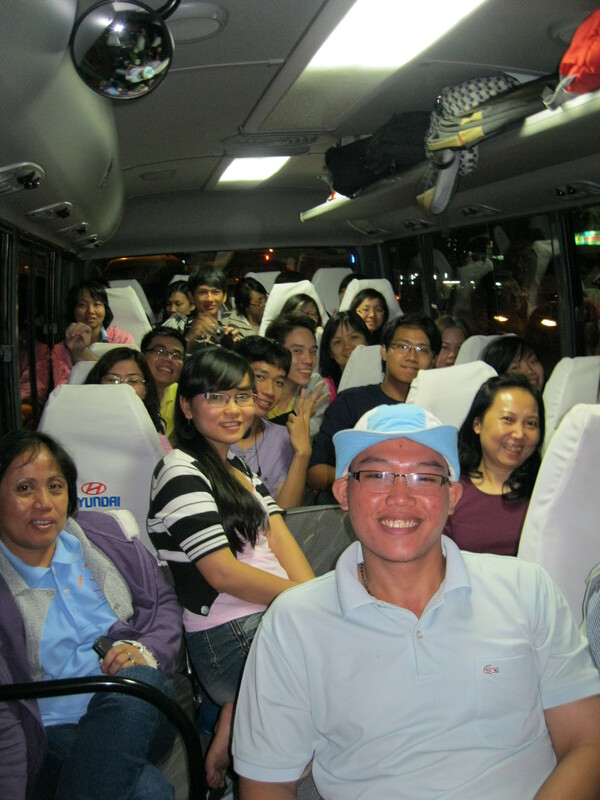 Nha Trang is a combination between expats and many Vietnamese traveling here for mini-vacations. The weather is perfect, for me anyway. Not too hot and not too cold. I’ve gone on nice walks and have met all kinds of people. I love that part the best or even simply the people watching. There are many Australians including some Veterans living here. You can find Vietnamese, Western, and other types of international food. The city has an upbeat exciting atmosphere to it without, in my opinion anyway, being too much. Of course you can go to the coast and hang out at the beach. There are also one day boat trips to the island to lay back and relax or do some of the several water sports that are available. I had a restaurant that I ate at quite regularly. Good food, clean, and great service. I also like what they have done for the community in Nha Trang. They take in youth, many who are from families in need, and train them in their restaurant for free. They teach them everything from cooking, customer service, and other basics to prepare them to move on to work in 5 star hotels. The owner is Vietnamese and her husband is Australian. Their manager Thao (young Vietnamese woman) is so great. She is so sweet and on the ball. 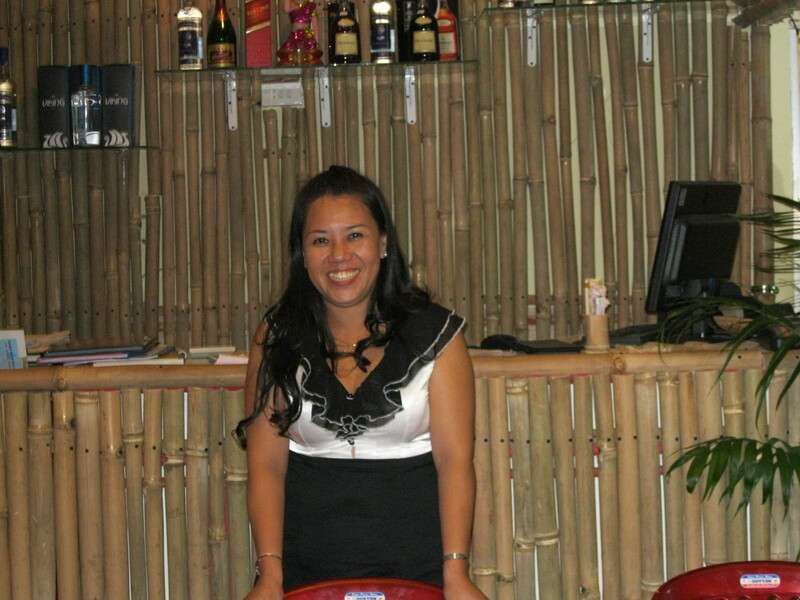 She is very helpful and speaks English fairly well. She actually bought me a present for Christmas with a little note. She said that she saw I was spending Christmas alone and didn’t have any presents to open. Wow- what a sweetheart! I should’ve have been the one to buy her a present. I eat quite well in Vietnam. Doesn’t matter how much I eat because I also walk quite a bit including up eight flights of stairs when the elevator wasn’t working from time to time. That’s worse than the last hotel which was only five-lol! However, that’s Vietnam. You got to be tough and expect the unexpected; and know how to go with the flow. I travel on a budget and rarely do I spend money on a luxurious hotel, but if you want them they are here! 2-3 star hotels can be quite nice, comfortable, and clean. Just have to shop around. At least it’s easier to cross the street here compared to Ho Chi Minh City although I have that down pat now. It always takes me the first day or two to get used to that again, but then I’m actually doing just as good, if not better that everyone else. Driving in Ho Chi Minh is a different story and I applaud the brave souls who do. I take this time when I first wake up and right before going to bed. I also take this time during meals to relax and reflect. I’ve eaten some of the best food. I not only eat Vietnamese food, but have also been eating french fries and some of the best pizza! Pizza that has even tasted better than honestly some pizza I’ve had in the U.S. I’ve also discovered that I like eating the french fries with chili sauce over here much better than ketchup. I will now do this at home. I’ve already been invited by two people in such a short time to run around Dalat with them. However, I passed on the one because he appeared a little more than on the general friendly side. I didn’t want to assume at first, but then it was confirmed when he gave me his email and it had dep trai written in it. I could not help, but laugh. Dep trai means handsome. So I think it is safe to say that my gut instinct was right and it was best that I did not, no matter how dep trai he was-lol. Besides, my hubby is my dep trai. One day I was sitting in Ho Chi Minh City and was people watching. I saw these two American Vets and their wives walking together. I wondered what their conversation was like, especially between the wives. I was glad to see they had joined their husbands on the trip. It may have been very healing for them as well to do so. I wondered was this their first trip, second, third? There are also those who return to live either part or full-time. As I’m wondering about the two couples and what their conversation might be, I am also watching all of the people around them laughing, smiling, and going about their business. Many of them are young. Many of them do not even remember the war or were not even born yet. All of this taking place right around these two Vets and their wives. I came across live music and dancing. I sat on the curbside with the people watching a local young dance group perform. I only know some Vietnamese and no one really spoke English in this crowd. However, we had a great time laughing and enjoying the music together, and in our own way communicating. This dance group completed two performances. 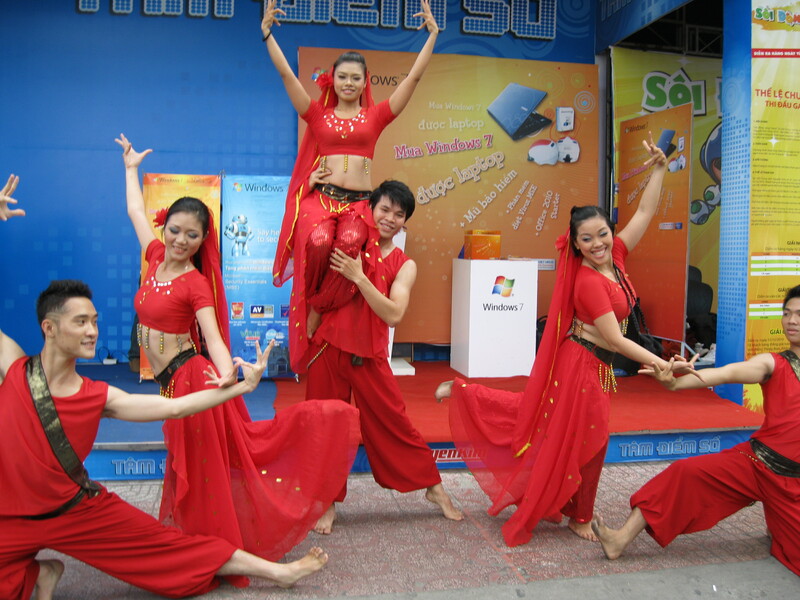 One was a more modern hip-hop dance to a song by Lady Gaga and their second performance was an Indian style dance. Mostly everyone here asks me if I am from India. There is nothing wrong with appreciating and enjoying some of the beautiful restaurants and points of interest in Vietnam. I love interacting with the people the best, especially in the delta. On a previous trip I took here with two Veterans, I asked the two Vets what they wanted most on the trip. They stated on several occasions that they just wanted to be with the people- the everyday people. I was really proud of them for that. *These were some reelections from a previous trip, but I will be heading to Vietnam and Cambodia this Tuesday and will be traveling all throughout the country. You can sign-up for this blog and Veteran Outreach Blog to follow me on this year’s trip. I was at the protest to observe and report. I agree with some of the protestors statements on stereotypes and racism in general and needing other narratives. I also believe that history, including American history, isn’t always told completely or truthfully. This happens everywhere. I believe citizens in every country can and have been naive to their governments and the misleading “patriotic” sentiments. Although I agreed with some of the points that were shared by the protestors, I did not agree with them entirely. What I found in the make-up of the protestors were mostly non-Vietnamese and missing were Amerasians and their mothers or Vietnam Veteran’s voices represented. I was able to find a couple of Vietnamese voices, but they were not directly connected to the Vietnam War Era. Majority of the protestors were not even Vietnamese or didn’t even see the play to begin with. Below is a clip from the actual protest that took place in late 2014 at the opening of the play in MN. Here is also a link to my reflections on the whole controversy / debate. You should read the piece at this link along with watching the clip to get a full understanding of this debate / controversy from more than one perspective. I am Vietnamese Amerasian who has worked with Vietnam Veterans and Vietnamese Amerasians for 14 years. What I have found from many in the Vietnamese, Amerasian, and Veteran community is an entirely different take on this play. Of course I can’t speak for everyone, neither should the protestors. Here is also a link to my reflections on the whole controversy / debate. –You should read the piece at this link along with watching the clip to get a full understanding of this debate / controversy. In this clip, we forget to add our Rice-stick noodles into the spring roll! So don’t do what we did, remember to put the noodles in as well! Also, we made the meal to serve 10 people and a little more on the bland side. You can add onions and garlic, or even more fish sauce for a desired taste. Enjoy!